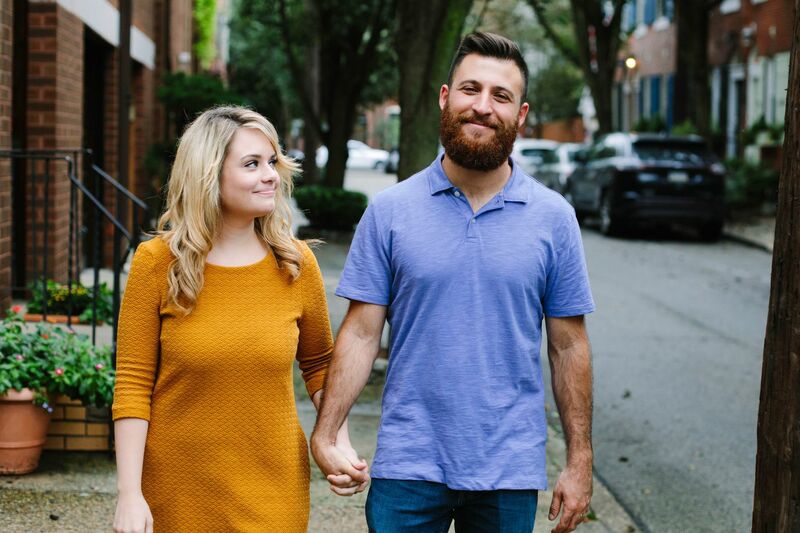 Married at First Sight, a “reality” show on Lifetime in which experts play matchmaker and couples meet for the first time at their weddings, kicked off its eighth season on New Year’s Day with eight singles from Philly who said they were ready to tie the knot. We can’t predict how many of them will still be married by New Year’s Eve — Lifetime’s latest trailer doesn’t exactly scream “happily ever after” — but if that first episode’s any indication, local businesses, including South Philly’s Club Risque, are already feeling the love. There were enough glamour shots of the city skyline in the premiere to satisfy any tourism promoter, but it’s the product placement I couldn’t help noticing as the four grooms-to-be met at Center City’s Cappelli Brothers Cigar Company, while the brides got to know each other at the Lacquer Lounge, an Old City nail salon. Married at First Sight may not believe in old-fashioned courtships, but it’s unwilling to skip the tackier wedding rituals, including a bachelorette party at Club Risqué with male strippers (the guys seem to have done all their partying on a bus with scantily clad female dancers). Kristine Killingsworth and Keith Dewar, one of the Philadelphia couples who meet for the first time in the new season of Lifetime's "Married at First Sight"
All four couples appear to have shared a wedding venue, the Inn at Grace Winery in Glen Mills. (The ceremonies are to continue at 9 p.m. Tuesday, after a repeat of last week’s premiere at 7.) Oh, and one bride, showing off the wedding ring she’d soon be presenting to a stranger, made a point of noting it had come from Steven Singer jewelers. Besides Sersen, who last week was seen marrying AJ Vollmoeller, 37, this season’s participants include Kristine Killingsworth, 28, and Keith Dewar, 30; Jasmine McGriff, 30, and Will Guess, 37; and Kate Sisk, 28, and Luke Cuccurullo, 30.